My new book is available for pre-order now! Signed copies will be sent out as soon as they arrive with me, early in June. I’ll be doing book signings, demonstrations and related workshops throughout the summer. Sign up to my newsletter for more information. 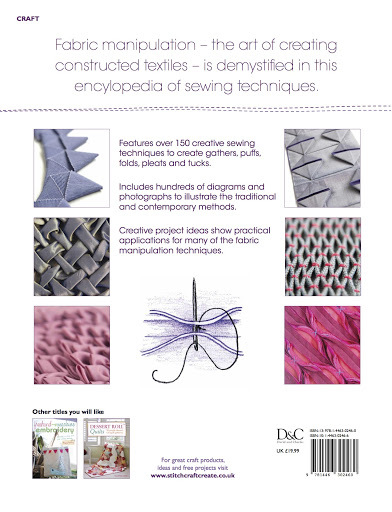 There’s much more to come on this blog about the book but for now, why don’t you have a look on my Pinterest board for other examples of fabric manipulation.